Today, manufacturing software has become one of the most reliable automation technologies to various manufacturing companies in Indonesia. Since Industry 4.0, as the fourth industrial revolution is at the door, the needs for automated systems have dramatically increased. 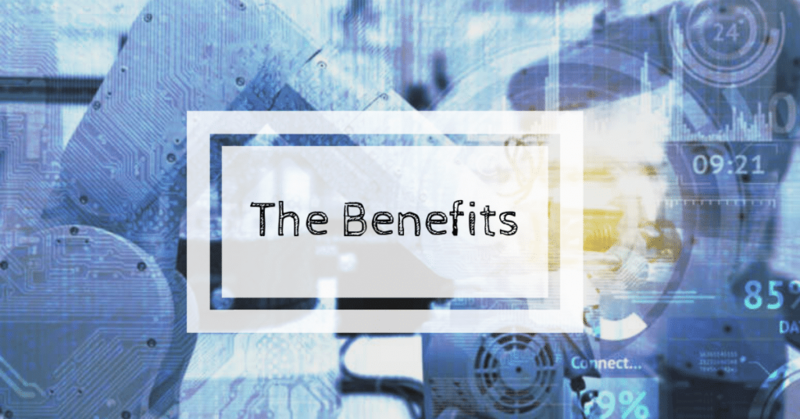 Manufacturing software has been proven to significantly increase productivity and operational efficiency. However, what is manufacturing software and how can it simplify manufacturing operations? 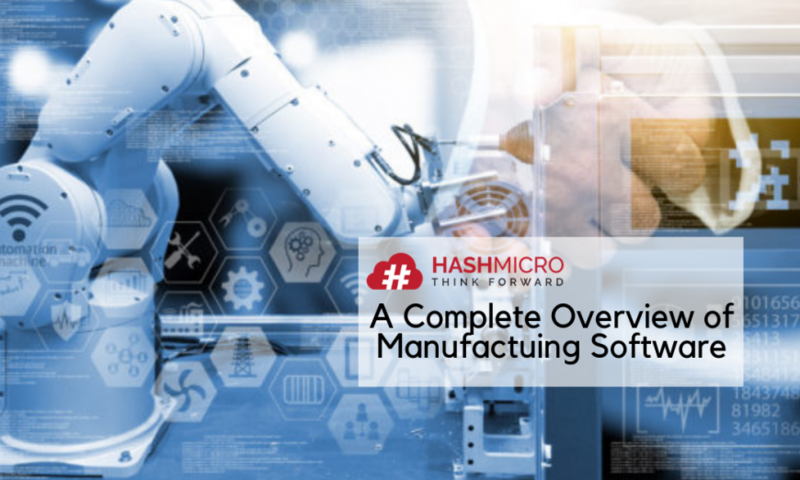 In this article, we will explain everything you need to know about manufacturing software, from its definitions, benefits, key features, to what distinguishes it from manufacturing ERP software. Manufacturing software is designed to automate manufacturing operations on the shop floor, from production planning, stock availability tracking, allocation of resources, delegation of tasks, to production routing. In addition to simplifying, the software also integrates these processes and provides manufacturers with complete, real-time visibility of all procedures through one system. Nowadays, manufacturing software is as important as machines and heavy equipment used to produce goods. Not only has it been used by large-scale manufacturing companies, but also by new, small and medium-scale manufacturing businesses. 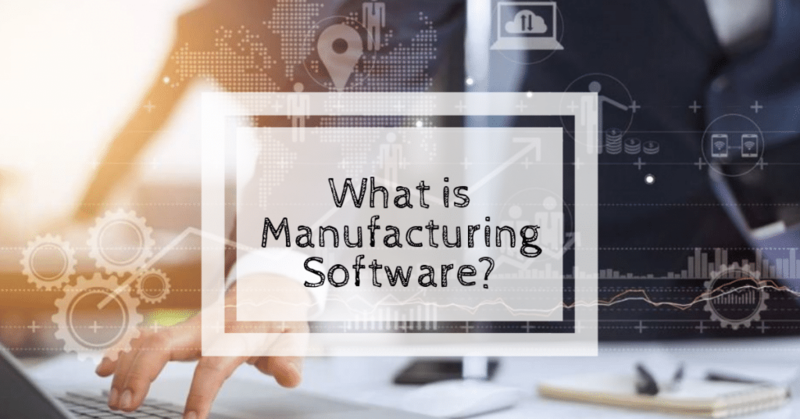 In order to find the answer to the question ‘what is manufacturing software?’, you need to know how it works and the benefits it provides for manufacturing businesses in Indonesia. Here are some of the main benefits. Manufacturing software simplifies production planning including resource allocation, workforce preparation, time management, and production routing, thus the production process can be accelerated. When production time is shortened, order fulfillment can be processed earlier and there will be more valuable activities that can be done. Manufacturing software allows manufacturers to measure the overall equipment effectiveness (OEE) at any time through real-time reporting tools. This enables manufacturers to identify problems earlier and prevent severe damage to various equipment, so there will be no space for unplanned downtime. Bottlenecks can be identified earlier through the system, so that manufacturers can determine which processes actually provide profit for the business and which ones do not. With the elimination of unprofitable processes, manufacturers can focus more on improving the quality of their products and services. Advanced manufacturing software enables manufacturers to monitor production processes across multiple manufacturing plants, from the duration taken, the number of employees involved, costs incurred, materials used, to the product life cycle and the internal and external transfers. With cloud-based manufacturing software, manufacturers can review the processes from anywhere on mobile devices. Manufacturing software makes it easy for manufacturers to plan production schedules and duration, determine the amount and type of materials required, measure the OEE, schedule preventive maintenance, plan the number of workers needed for production, distribute tasks, and take immediate actions for scrapped products. These will eventually lead to waste reduction across all manufacturing plants. 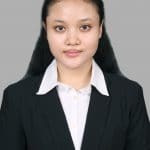 Now you are getting a hold of what manufacturing software is along with the advantages it provides for manufacturing businesses in Indonesia. 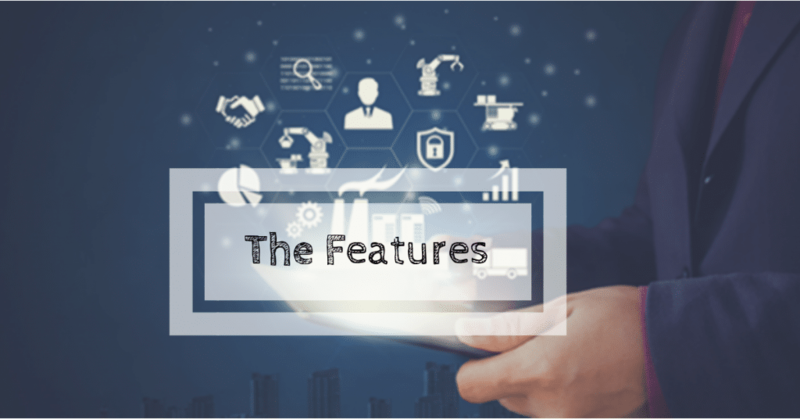 To really understand the functionality of this software, let’s learn about some of its main features. Through this feature, manufacturers can easily manage production schedules, determine the products to be created, and determine the deadline for completion. This is the initial stage of the production process. This feature allows manufacturers to decide the number of goods to be produced, what materials are needed, the person responsible for the process, and production routing. Simply put, this feature contains a summary of the production process. This feature makes it easier for manufacturers to record various requirements to continue the production process of semi-finished goods (work in process), including the materials have been used and the time needed to make them into finished goods. With this feature, manufacturers can create multiple work centers or organizational units where manufacturing activities are carried out using codes. It allows manufacturers to measure efficiency, production capacity, and the OEE. Through this feature, manufacturers can also determine the time needed for one production and analyze losses caused by downtime. All components or raw materials needed to produce goods are managed in this feature, including the costs and quantity. Producers can also determine which route the BoM belongs to. Routing is a place where producers can arrange the stages required to produce finished goods. Through this feature, manufacturers can also determine the work center and the duration needed for each stage of production to be carried out. 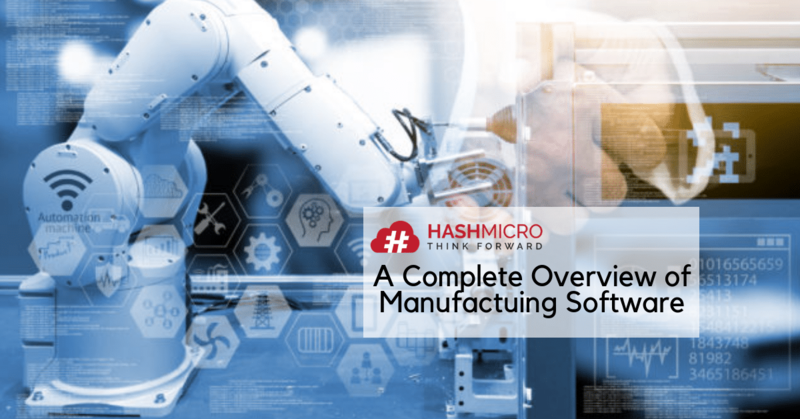 Complete manufacturing software should have an advanced reporting tool that allows manufacturers to gain real-time insights into the availability of raw materials and finished products, the product transfers, the production process, and the OEE across multiple locations. 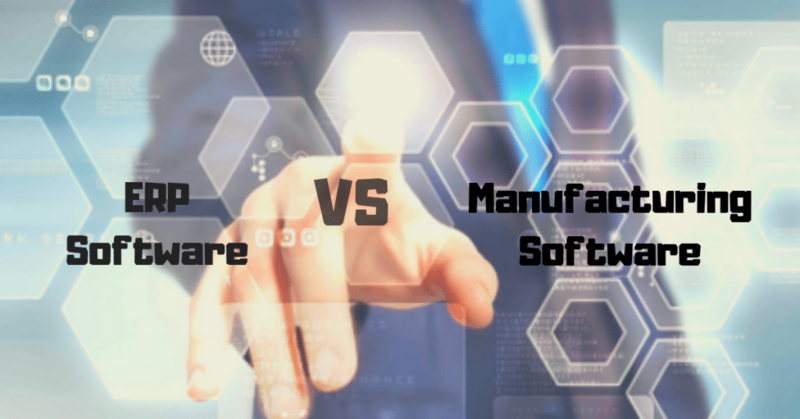 What is the Difference between Manufacturing Software and Manufacturing ERP Software? You may be questioning yourself, what is the difference between manufacturing software and manufacturing ERP software? Why is manufacturing software very similar to ERP software? Here is a simple explanation. Manufacturing software is a module or part of manufacturing ERP software. It is specifically designed to simplify production or operational processes on the factory floor, while manufacturing ERP software is designed to automate all business processes, including finance, employee management, customer management, asset maintenance, and many more. Commonly, large manufacturing companies will need more than one ERP module, since there are many other needs to be fulfilled other than shop floor activities. In addition to manufacturing software, several other important ERP modules for manufacturers include accounting, HRM, CRM, inventory management, asset management, and transportation management. Apart from AI, IoT, and robotics, manufacturing software is also one of the important automation technologies that should be considered by manufacturers in Indonesia. Besides being easy to implement, this software is also a more affordable option for manufacturers. With the ongoing manufacturing software development, manufacturers will be able to combine the software with the latest machines and tools. Thus, they will gain optimal benefits from their hardware and software. Manufacturing software significantly helps optimize efficiency and productivity on the production floor. However, if you want to automate your entire business process, then manufacturing ERP software will be a better fit for your business.